Laura is on the faculty of Centenary College where she has taught violin, chamber music, string methods, and string pedagogy in addition to teaching violin students in the Centenary Suzuki School. She received her B.M. and M.M. degrees in violin performance from the University of Texas at Austin where she studied with Leonard Posner, longtime Dallas Symphony Concertmaster. She also studied at The Meadowmount School of Music in New York (Paul Makanowitzky), University of Maine at Orono Chamber Music School (Joseph Fuchs), and the Round Top Festival in Texas. While at U.T. she taught in the nationally recognized U.T. String Project under Director Phyllis Young, a past President of the American String Teachers Association. This program was a model in developing the Centenary Suzuki School. Laura was privileged to receive teacher training under Dr. Shinichi Suzuki when he came from Japan to the American Suzuki Institute in Wisconsin. When starting the CSS, she observed many Suzuki teachers including Kay Slone (author of Rarely Too Old/Too Young To Twinkle), Joe Cleveland (Louisiana Suzuki pioneer), and Louise Behrend (School for Strings in New York). 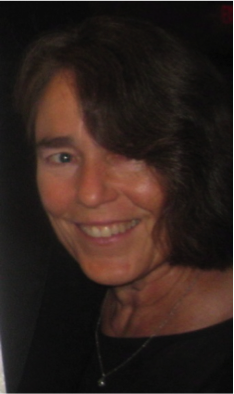 She has attended numerous Suzuki Institutes and teacher training sessions throughout the country, (Doris Preucil, Lorraine Fink, Linda Fiore) also serving as a clinician herself in Texas, Arkansas, and Louisiana. Laura began the Centenary Suzuki School in 1977, and as its director, has also continually organized recitals and various opportunities for current students to perform. Laura has also organized, with the Shreveport Suzuki Parents Association, frequent regional Suzuki workshops in which nationally known Suzuki clinicians are brought in to work with area students. Laura has been a participant several times at the Starling-Delay Summer Symposium of Violin Studies at Juilliard in New York. She has also observed numerous violin master classes at the Curtis Institute in Philadelphia where her cellist son, John-Henry, is currently enrolled. Laura performs regularly with the Baroque Artists of Shreveport and the Shreveport Symphony, and has performed with the Memphis Symphony, the Austin Symphony, and is a former concertmaster of the Longview, Texas Symphony. She has been a guest soloist with the Hurley Chamber Orchestra, the Longview Symphony, and the Acadiana Symphony (Lafayette). She performs frequently at First United Methodist Church as well as for other churches. Her students have played in orchestras at Rice University, Indiana University, Cincinnati Conservatory, Cincinnati Symphony, and the Johannesburg Philharmonic in South Africa. Former students have also participated in summer festivals at Sewanee, Brevard, Aspen, Interlochen, Oberlin, Chicago, and Encore (Cleveland Institute) as well as string ensembles at Princeton, Yale, Stanford, Brown, Southern Methodist University, Univ. of North Carolina at Chapel Hill, and Centenary College. Laura is from Memphis, TN, and grew up in a musical family. Her father, Dr. Robert Popper, a physician and cellist, emigrated from Austria to the U.S. in 1939 bringing with him his family’s musical instruments. Laura grew up hearing string quartet rehearsals and impromptu reading sessions in their home – her father believed one should have instruments available “just in case someone stops by to play.” Laura is married to Ed Crawford, and all four sons participated in the Centenary Suzuki School. When she has spare time, she enjoys swimming laps, jogging, reading, gardening, cooking, and hanging out at her son Andrew’s coffee shop, Rhino. Charles Regauer started violin in Brazil in 1999, but a few years later, when he heard the wonderful tone of the C string, he switched to viola. Charles holds a Bachelor’s Degree in music from the Federal University of Rio Grande do Sul, in Brazil and a Master’s degree in Music from the University of New Mexico with double concentration in Viola Performance and Violin Pedagogy. Charles also likes to attend several music festivals in Brazil, where he had the opportunity to learn with great teachers as Eric Rosenblith, Richard Young, Ori Kam, Paul Biss, Rainer Moog, Clara Takarabe, Renée Moore-Skerik and Timothy Deighton. In the year 2008 he won a concerto competition for young soloists where he performed a solo with the SESI/Fundarte Orchestra in Porto Alegre, Brazil. Also, he loves to play with his Lutheran Church Orchestra in Brazil every year. Charles Regauer has been teaching violin and viola since 2006 and completed the Long Term-Training for all Suzuki Books in violin with Susan Kempter. Also, he received teacher training in viola from Elizabeth Stuen Walker, Bill Preucil and Sarah Montzka. He attended other teaching courses with Mimi Zweig, Barbara Barber, Winifred Crock, Nancy Jackson, Mark Mutter, Doris Preucil, Laurie Scott and Pat D’Ercole. He has worked as a teacher in Suzuki workshops in Brazil and Mexico, having fun learning and teaching, sometimes dressed as Gandalf or Waldo, playing scales, movie songs, Bach Minuets, leading the viola groups or teaching master classes. 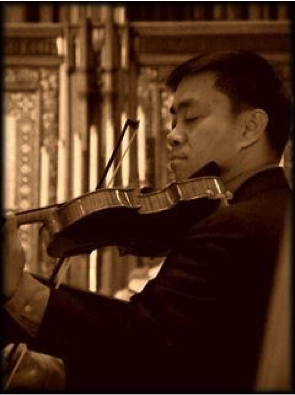 Currently, he works as a violin/viola teacher and administrator at the Centenary Suzuki School in Shreveport, LA. When he is not busy working, Charles Regauer likes to make coffee and try different coffee beans from the world. Also, he likes to play video games, ride his bicycle, play soccer, golf, hiking, build paper airplanes, make barbecues and read. Adrienne Gabriel came to Shreveport from Boston, MA where she graduated from the New England Conservatory and was a long-time member of Opera Company of Boston during the directorship of American icon Sarah Caldwell. Adrienne joined the Shreveport Symphony in 1989 and the Centenary Suzuki School in 1998. She has been on the faculty of Northwestern State University in Natchitoches, LA and Centenary College. An advocate of repertoire for the viola, Adrienne frequently solos with the local orchestras (having given one of the few performances in history of the complete Suite for Viola by Vaughan-Williams). Her viola recitals promote new and original music. An avid long distance runner, Adrienne has finished many of the South’s great marathons. She is married to musician Todd Gabriel, has a step-son, Jesse, and two loyal canines, Moby and Carmen. Elizabeth joined the CSS faculty in 2011. In addition to her teaching for CSS, she is also the Strings Specialist at Southfield School, where she directs the Middle School String Ensemble and coordinates the Composer of the Month classroom visits for Preschool 3 – 4th grade. Elizabeth occasionally performs with the Shreveport Symphony Orchestra, South Arkansas Symphony, and Baroque Artists of Shreveport. She received a B. M. degree in Violin Performance with Suzuki Pedagogy and iBASE (integrated Business for Arts and Sciences Education) Certificates from the University of Evansville in 2009. 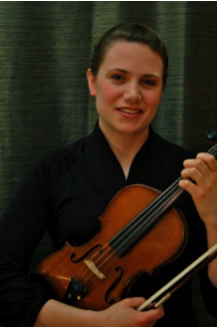 Elizabeth holds a M. M. degree in Violin Performance and Suzuki Pedagogy from the University of Minnesota, Twin Cities. 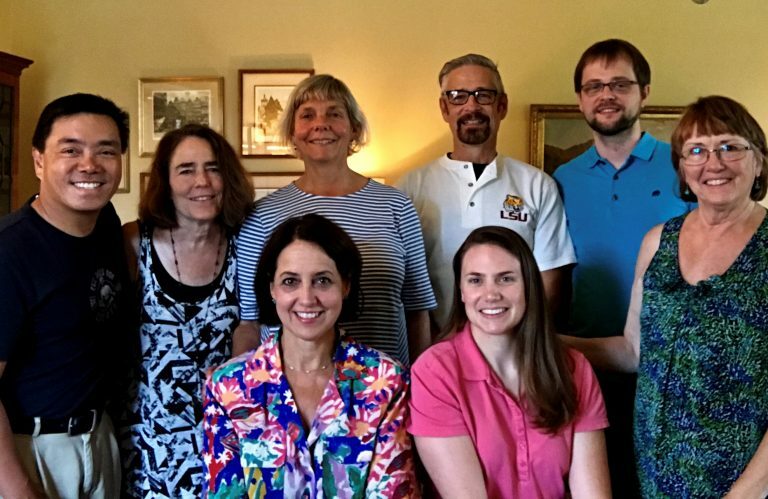 She has completed Suzuki Violin teacher training, ECC through Book 10, with trainers Carol Dallinger (Evansville) and Mark Bjork (Minnesota). She has previously taught individual and group lessons in the University of Evansville Suzuki Violin Program and interned at the MacPhail Center for Music Suzuki program, teaching group classes, in Minneapolis. She most recently completed Suzuki Cello Book 1 training with Catherine Walker. 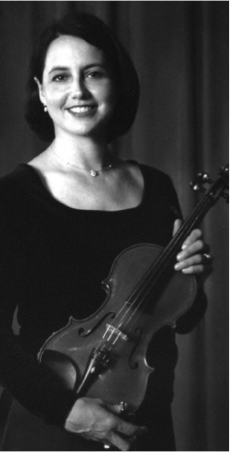 As a daughter of both a Suzuki Cello and a Suzuki Flute teacher, Elizabeth began violin lessons at age 2. She received most instruction through the Suzuki Music School in Granger, IN. Her string quartet, The Four Star Quartet, won the Fischoff National Chamber Music Association’s Geoffrey Prize for Best Local Ensemble in 2005. Four Star was also honored to perform for the gala opening of the Debartolo Performing Arts Center on the campus of the University of Notre Dame, as well as for former President George W. Bush’s visit to Notre Dame in the spring of 2005. Her solo honors include Fischoff’s Artist of the Month, the University of Evansville Presser Scholar award, and University of Evansville Gumberts Award Recital Winner for 2009. Elizabeth won a fellowship position with the Evansville Philharmonic Orchestra, after an invitation and audition, which she maintained from 2005 to 2009. She has played under conductors Alfred Savia, David Barg, Mark Russell Smith, Marin Alsop, and Osmo Vanska. When not teaching or performing, Elizabeth loves to cook and bake, swim, be outdoors, and read. Mr. Santelices has been associated with the Centenary Suzuki School since 1992, as private and group class teacher and conductor of the CSS Chamber Orchestra. He is a past recipient of the Suzuki Association of Americas Grants for short-term teacher training and has been a guest clinician and conductor at Suzuki summer institutes and music camps across the country. He has had the privilege of receiving SAA teacher training from such Suzuki Method luminaries as Ronda Cole, Teri Einfeldt, Carrie Reuning, Mary Cay Neal and Hiroko Driver. Mr. Santelices was the President of the Ark-La-Tex Youth Symphony Orchestra Board in Shreveport and is Director of their Chamber Music Program (now known as the Shreveport Chamber Music Program, based at St. Elizabeth Ann Seton Church) which he founded in 1998. He has been a Guest Conductor for Caddo Parish’s Elementary, Middle School and High School Honor Orchestras and was named to Who’s Who Among America’s Teachers in 2003. 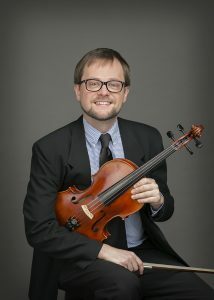 Mr. Santelices has served as a faculty member for Centenary College of Louisiana, Northwestern State University of Louisiana, Stephen F. Austin University, Asbury College in Wilmore, Kentucky and University of Kentucky, as a Master -Teacher for their UK String Project. Mr. Santelices received his musical degrees from the Peabody Conservatory of Johns Hopkins University and Northern Illinois University. He is violinist with the Arkansas Symphony Orchestra, Shreveport Symphony Orchestra, Assistant Concertmaster of the Texarkana Symphony Orchestra and the Baroque Artists of Shreveport. He has performed as soloist with the Longview Symphony Orchestra, Nachitoches-Northwestern Symphony Orchestra and Centenary College’s Hurley Chamber Orchestra. His interests outside of music include collecting vintage horseracing memorabilia and playing racquetball, squash and tennis. 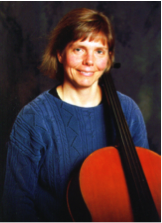 Kristina is a cellist with the Shreveport Symphony Orchestra, Adjunct Professor of Cello at Centenary College and Cello instructor in the Centenary Suzuki School. She received her Bachelors of Music degree from the Crane School of Music in New York and her Masters of Music in Performance and Pedagogy from Northern Illinois University. Kristina’s main teachers have been Raya Garbusova, Robert Gardner and Rodney Farrar. 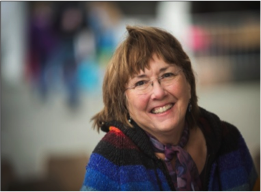 She received her Suzuki teacher training at the Ithaca Institute and has also observed many wonderful teachers and master classes throughout the years. Kristina and her husband Peter Haas, Principal Bass with the Shreveport Symphony Orchestra, have been members of the symphony since 1988. Presently, Kristina teaches music at Southern Hills Elementary School in addition to her cello teaching. Kristina and Peter enjoy their summers playing in the Chautauqua Symphony Orchestra in NY. They have two sons, Isaac and Eliot, both musically inclined. Mrs. Webb teaches orchestra for the Centenary Suzuki School, where she has also taught violin. She plays violin with the Shreveport Symphony Orchestra and leads the Acadian String Quartet. Mrs. Webb has also performed with the Longview (TX) Symphony, Marshall (TX) Symphony, Monroe Symphony, Ruston Symphony, Rapides Symphony and the South Arkansas Symphony. She had the privilege of performing in a Master Class for Dr. Suzuki in Monroe, LA, and her Suzuki teacher trainers include Debbie Goolsby, Beth Titterington, Roger Steig, Thomas Wermuth and Carol Dallinger. Mrs. Webb holds a BME from Northwestern State University in Louisiana and has attended Centenary College and Louisiana Tech University. The Caddo Parish School System employs her as Orchestra Director for Caddo Magnet High and Caddo Middle Magnet Schools. She taught 4th and 5th grade string orchestra classes for Forest Hill, Hillsdale, Turner, Queensboro, Claiborne Magnet, Judson Magnet and South Highlands Magnet elementary schools from 1990 to 2005. During her tenure in Caddo Schools, Mrs. Webb has also taught String Orchestra for Summerfield, Summer Grove, Creswell, Eden Gardens and Northside Elementary Schools. Mrs. Elaine Webb and her husband Chris have 8 children and 12 grandchildren. Elaine on fiddle and Chris on squeeze-box or guitar can be heard at area festivals performing cajun music with Cajun-Dixon Line band.